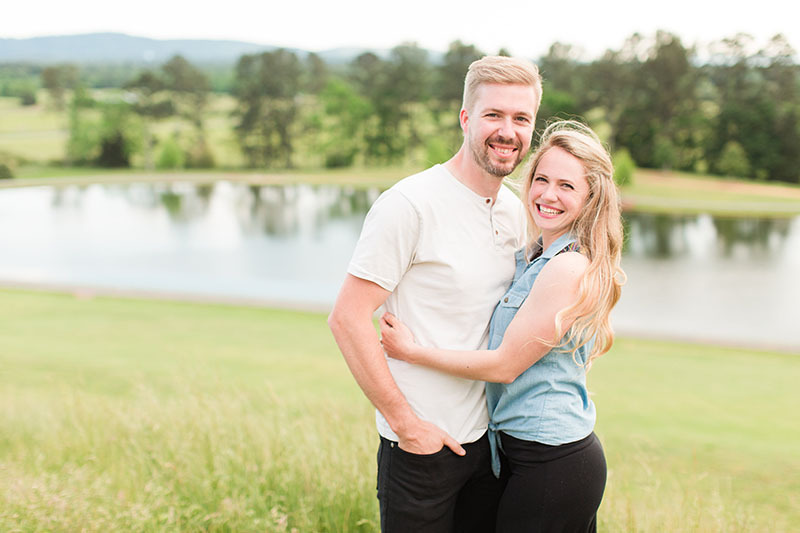 Inspired by their own wedding, husband and wife team Bret and Jillian Alldredge have opened their own business in the hopes of showing fellow Southerners a new way to throw the most amazing parties and events. What inspired you to open Exchange Vintage? 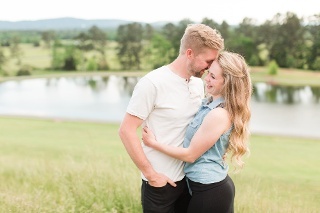 It all started when we were planning our own wedding. We wanted our guests to experience something unique and in true Southern style, eat amazing food and build friendships while they celebrated with us. Fast forward two years, and we settled on our separate full-time jobs, yet something was missing. Our dream was to work together as husband and wife. So with nothing more than a crazy dream and young eager hearts, we dove into a creative business. Offering couples the one thing we wanted — something different. 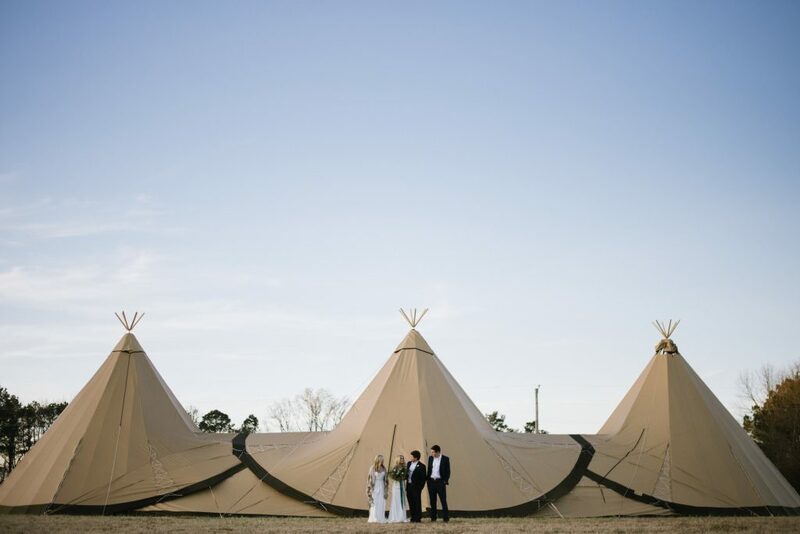 After searching for new ways to serve our clients, we took a leap and are now pioneering a new path in the USA, with our gorgeous event-size Tipis. 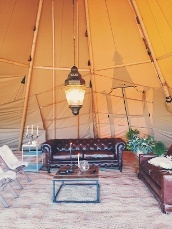 They are well known in Europe and Australia, but the Tipis just started making waves here in the US. We want to introduce the South, and beyond, to a new way of hosting events. What are your favorite pieces to feature? 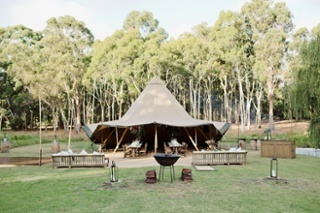 Our Tipis take the top award for effortless luxury and best feature. A close second is our vintage lounge furniture, as well as our handcrafted farm tables and bars. Are there any local businesses or people that you partner with? We love to partner with Garlan and Heather Gudger at Southern Accents in Cullman. Their eye for architectural design and jaw-dropping inventory makes them a dream to work with! We also partner with Rock the South to bring distinctive design elements to the music festival. Premier Productions is always fun to team up with — whether it’s furnishing green room spaces for touring or fabricating creative elements for their office space, they’re great! We get the opportunity to serve people in a manner in which we may, otherwise, never get to serve. Whether it’s serving couples or fellow vendors, this is where our passion stems from. We are passionate about showing the world this beautiful movement in the South. Creativity and artistry are interwoven throughout the Southern culture, and it is an honor to be a part of it. What is the best thing about working as a husband and wife duo? Oh, we love this one! We’re best friends, we laugh together, pray together, cry together, awkwardly dance together — it’s the BEST! You have a unique set of challenges when your spouse is also your business partner. We have a deep intimate understanding of how each other ticks, so when we apply that to business, we flow so well together. We’re each other’s business coaches, cheering the other on and challenging them at the same time. What are some of your favorite places to work in Birmingham? The top pick would have to be Sloss Furnace. We LOVE anything historical, so it’s always a treat for us and our crew to set up at Sloss. The majority of our Collection has a urban industrial flare that fits perfectly against the infamous exterior of the Furnaces!